Orcas Island, WA – How about a quickie quiz on this year’s elections? Question – What did states as politically dissimilar as Utah, Michigan, Colorado and Missouri have in common in the 2018 election? Not House or Senate races. Not red or blue. 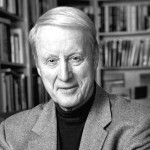 No, the unique similarity is that in those four states, People Power has been on the warpath, pressing for systemic reform. Voters in Utah, Michigan, Colorado and Missouri were so fed up with politicians’ rigging elections that they put gerrymander reform on the November ballot. Each state let its voters decide whether to let elected politicians keep on drawing election district maps to keep themselves and their party in power, or whether to turn over election mapping to a politically balanced independent commission in order to create a more level playing field and give voters a realistic choice in future elections. And 1,2,3,4, the people in all four states leapt at the chance to adopt reform – a body blow to the age-old practice of politicians stacking the deck to keep themselves in office. It’s amazing how partisan gerrymandering became a hot button issue in 2018. After all, stacking the deck in elections by manipulating district lines is nothing new. It’s been going on since 18i2. But never before has it become such a contentious, front-burner issue at the grass roots, as it has this year. Not just in those four states, but in other pivotal states like Ohio, Pennsylvania, Florida and North Carolina. Ohio voters voted for reform last spring. With a grass roots reform movement, they put so much heat on the state legislature that Ohio lawmakers produced a bipartisan gerrymander reform plan and the voters passed it in May by a hefty 75% majority. In Pennsylvania, the state supreme court shookn up this year’s congressional elections not only by declaring the redistricting plan adopted by the Republican legislature in 2011 as unconstgitutional, but by redrawing congressional district maps, ind ways that shook up the final outcome and kprodkuced a 9-9 spli9t in the state’s congressional delegation. In Florida, a gerrymandering reform adopted by a supermajority of 62.9% of Florida voters in 2010 and then held up for several years by court battles, is now reshaping the political landscape in the Sunshine State. In 2016, it helped engineer the ouster of five incumbents. More changes came this year so that the Florida delegation to House of Representatives went from 17 Republicans and 1o0 democrat sin 2015, just before reform came into force, to 14 republicans and 13 Democrats today. In North Carolina, an anti-gerrymander lawsuit brought by the League of Women Voters, NAACP and the Southern Coalition for Social Justice is back before a three-judge federal district court. In earlier decisions, the three-judge panel ruled in favor of the voters’ challenge to the Republican gerrymander in that state. The U.S. Supreme Court ordered the case to be reviewed at the district level, and now that case seems back on a fast track toward the nation’s highest court. 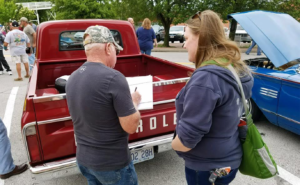 What is striking about this year’s citizen rebellions against gerrymandering is how quickly they were mobilized and mushroomed. In Michigan, a grass roots movement spread like wildfire from a single Facebook post by Katie Fahey a 28-year-old grad student, who was fed up with elections being rigged by politicians in the Wolverine State. In 2011, Michigan’s Republican-led legislature drew district maps that enabled Republicans running for Congress in 2012 to harvest almost two-thirds of the state’s Congressional seats while winning less than half of the statewide popular vote. The numbers were a travesty. Republican candidates for Congress in 2012 won a little over 45% of the statewide popular voter but wound up with 64% of the House seats. 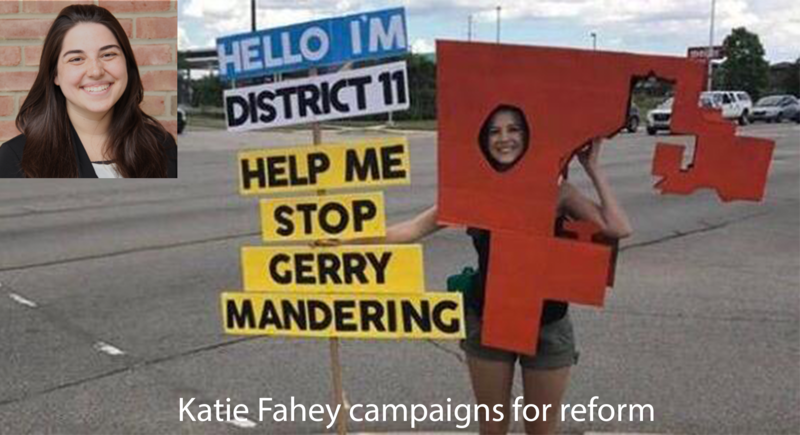 When crowds thronged to her Facebook post, Fahey formed two movements, Count MI Vote and Voters Not Politicians. They began circulating petitions calling for a popular vote on a plan to have Michigan’s election maps drawn by an independent 13-member commission – 4 Democrats, 4 Republicans and 5 independents, none of them lawmakers or lobbyists. Much the same happened in Colorado, Missouri and Utah. In Colorado, two reform groups, Fair Districts Colorado and People Not Politicians, joined forces behind a proposal for a 12-member tri-partisan independent commission. One striking feature: Colorado’s plan requires the commission to create politically competitive districts – not favoring either party. What’s more, the final maps must win a two-thirds commission majority, ensuring that no party can dominate the process. Utah’s reform movement – called Better Boundaries – has bipartisan roots and sponsorship. 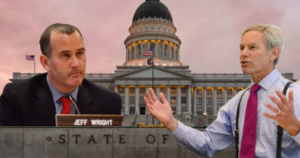 Its co-chairs are Ralph Becker, former Democratic mayor of Salt Lake City, and Jeff Wright, a former Republican state lawmaker and candidate for Congress. As in the other states, the Utah plan calls for an expert non-partisan commission to draw maps. Wright concedes that in Utah gerrymandering helps his own Republican Party, but in other states, he points out, Democrats have the edge. In Cold War terms, evoking the nuclear standoff between the U.S. and Russia, Wright warns that the danger today is that partisan gerrymandering by both parties risks “mutual assured destruction” and fatal damage to American democracy. The answer, argues Wright, is to set up independent non-partisan redistricting commissions. 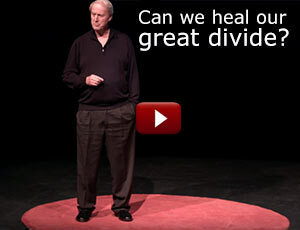 And that idea resonated with the voters in Ohio, Michigan, Missouri, Colorado and Utah. So while partisan gerrymandering continues in 35 states, it is on the defensive. Nationwide, 15 states have already embraced some kind of reform, and the pressure will be on for other states to follow suit in the next election cycle. 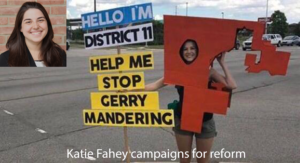 Citizen reform coalitions understand they must move quickly and get gerrymander reform adopted before the 2020 census triggers the next round of congressional redistricting in 2021.